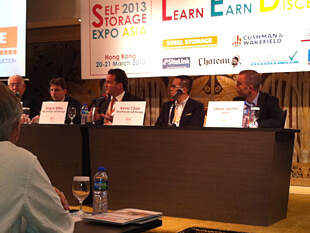 The first ever Self-Storage Expo in Asia was held at the Langham Hotel Hong Kong on the 20th and 21st of March 2013. Almost 140 attended mainly from various Asian countries including Hong Kong, Singapore, Japan and Malaysia but also from Australia, Europe and the USA. 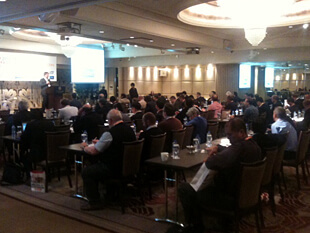 Attendance included representatives from self-storage operators, industry suppliers and investors. 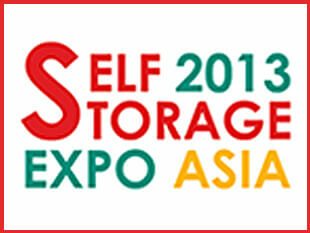 Self-Storage conventions and trade show are held throughout the world. 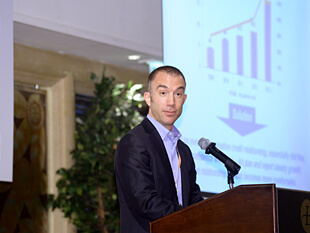 Some of the largest include Inside Self-Storage World Expo and SSA Conference and Trade Show in the U.S., the Self-Storage Summit in Australia and FEDESSA Conference and Tradeshow in Europe. The Self-Storage industry in the U.S is by far the largest market in the world with more than $22 billion USD in annual revenue. The very first self-storage facility was said to be opened in 1958 and now there are more than 49,000 facilities - that is more than 4 times number of Starbucks facilities in the U.S.1,2 In comparison the market in Asia is relatively young and still developing, but growth in the last decade has drawn attention to the opportunity in this region. The Japanese self-storage market is said to be growing by roughly 10% per year on current $250 million USD annual revenue. 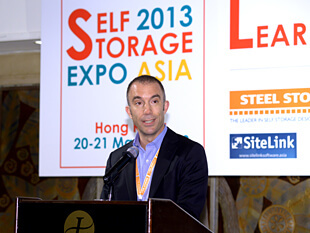 The 2013 Self-Storage Expo Asia was initiated by Jon Perrins, Executive Director of Steel Storage. Steel Storage has been providing storage products, including steel partitions and doors, to the Asian market since 2003 and also played a vital role in establishing the first industry conference in the UK back in 1999. These events have allowed entrepreneurs, investors and industry suppliers to come together and share views and get advice from one another. Jon Perrins idea was to repeat this concept in Asia which likely has the most future growth and absolute potential of any self-storage market in the world. 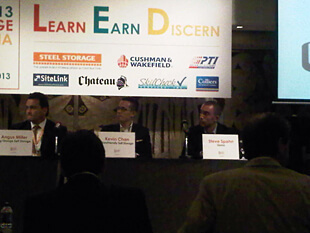 The fact that there was even an event like this is indicative of the growing Asian self-storage industry and the continued expansion of the storage industry worldwide, and signifies the gathering momentum of the storage markets in Asia which are now approaching a critical mass. 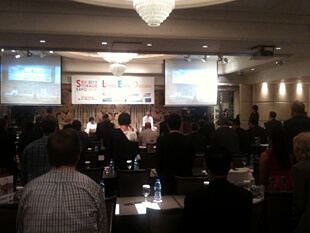 Panel Discussions: two discussion sessions with industry operators and specialists were a highlight of expo. There were many common themes repeated by several of the speakers. Clearly consumers are favoring quality such as clean, secure, dry, and convenient facilities. Capable local management is key to success including willingness to hustle, negotiate and increase rents especially as properties stabilize. Other challenges include adapting to migration of customers online and to mobile devices, management of pricing, unit size mix and general differentiation from competitors. 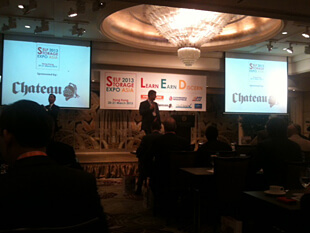 Stephen Spohn, President at Quraz, gave one of the key note speeches on the Japanese Self-Storage Market and was also part of the discussion panel on day 2. Hardy Good, Chairman and CEO of MiniCo Asia, MiniCo Self-Storage and New Empire Ventures Inc.
Thomas Krendl, CEO of E.I.M. Group Inc. and Vice President at SkilCheck Inc.
What is the storage business? ©2001-2018 Quraz, Ltd., All rights reserved.